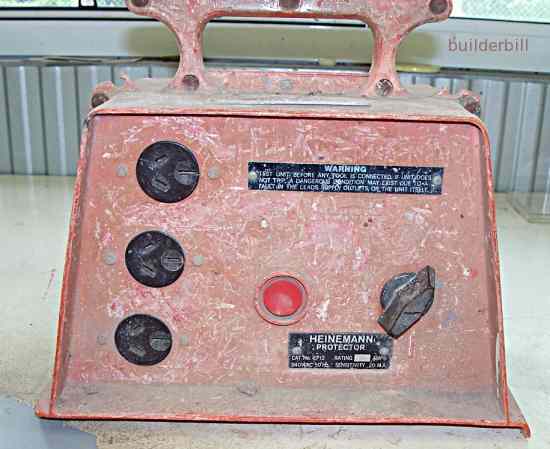 A earth leakage detector ELD, also known as an RCD or residual current device, is an electrical safety device that detects faults in electrical systems within milliseconds and shuts off the current before harm can be done. 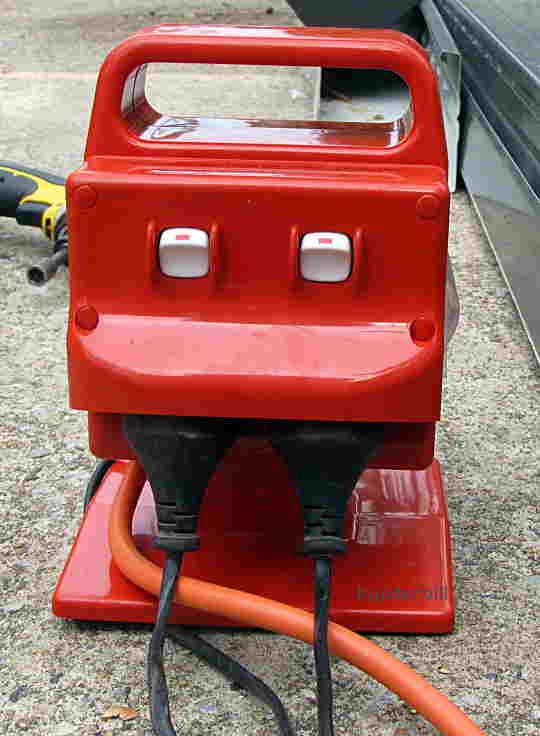 When fitted into a portable junction box for mains power leads or cords it is called a safety box etc. The use of these boxes on building sites is mandatory in a lot of countries now. They vary in shape and size, but they all have to comply with certain minimum standards. One of the features that they all should have is a test button to test that the device is working correctly. This should be used every time that the box is connected to a power source to make sure that it is still functioning OK. Here is a page that covers this most important device in more detail.